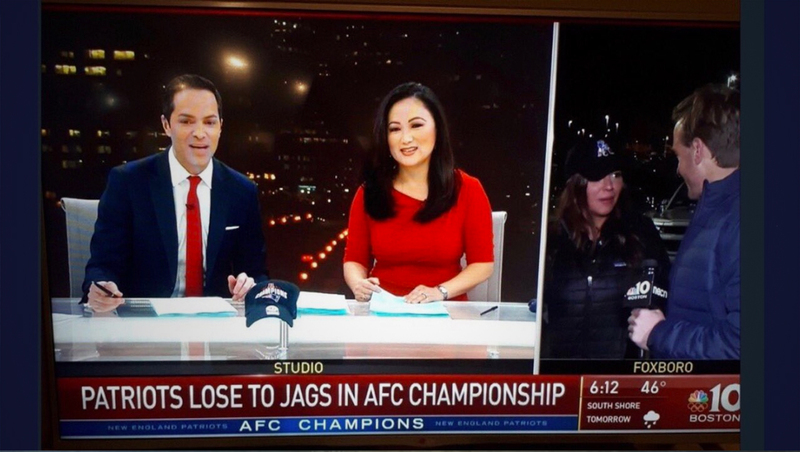 NBC Boston made an on-screen error reporting last night’s New England Patriots win. The game, which aired Sunday, Jan. 21, 2018, was the deciding name in deciding who would face off in Super Bowl LII in Minneapolis. NBC will air the game.